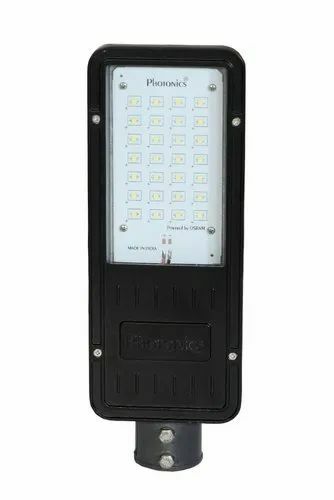 Photonics is a trusted manufacturer and supplier of a high quality range of manufacturer & exporter of Solar LED Street Lights LED Street Lights, LED Flood Lights, LED High Bay Lights, Solar Power Packs etc. We are one of the most trusted names of the industry engaged in manufacturing and supplying a supreme quality range of Water Treatment Plant, Reverse Osmosis Plant, Softner plant, Solar Street Lights, LED Lights, Flood Lights and Moving Bed Bioreactors. The entire range of products is designed in compliance with the international quality standards and as per the clients requirements. Moreover, we make sure to offer the products to the clients at industry leading prices. We can also customise these products as per the exact details provided by the clients.